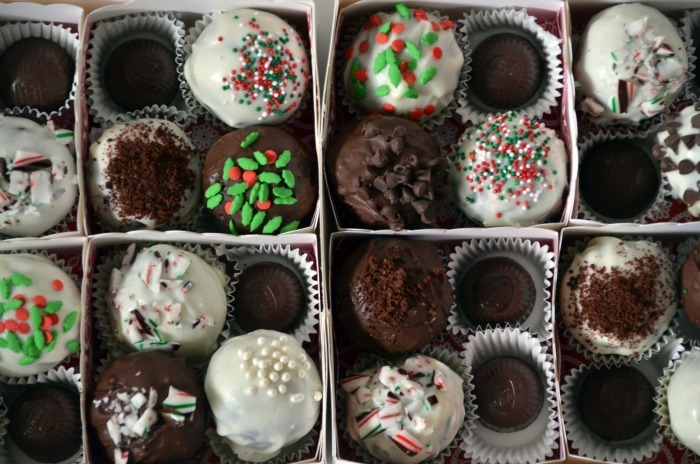 I made some Christmas cake balls today to giveaway as gifts, and I thought I’d show you how I did it! The cake pop maker came with a recipe booklet, but I decided to just use boxed brownie mix. Worked like a charm! Mix up your brownie mix according to the box and then plop 1 tablespoon in each hole. If it looks like this before you close the lid, you’re good. The overflow isn’t a big deal and can be scraped off when you’re done. About 5 minutes later, you have little brownie bites! Take them out of their molds using the nifty fork and place in the trays to cool. At this point you could insert the candy sticks, but I decided to package mine differently so didn’t bother. I decided to coat my cake/brownie balls in white and dark chocolate. Yum! Tip: Before dipping anything in chocolate, freeze it first. It will help the chocolate immediately set. 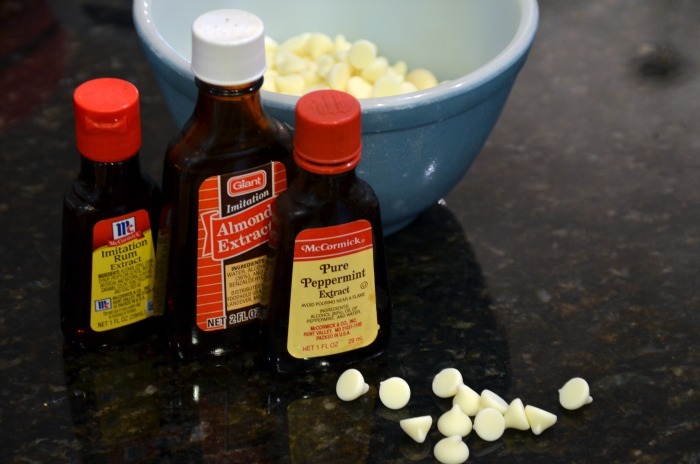 To make things even more tasty, I split my melted chocolate into several little bowls and added some flavored extracts. 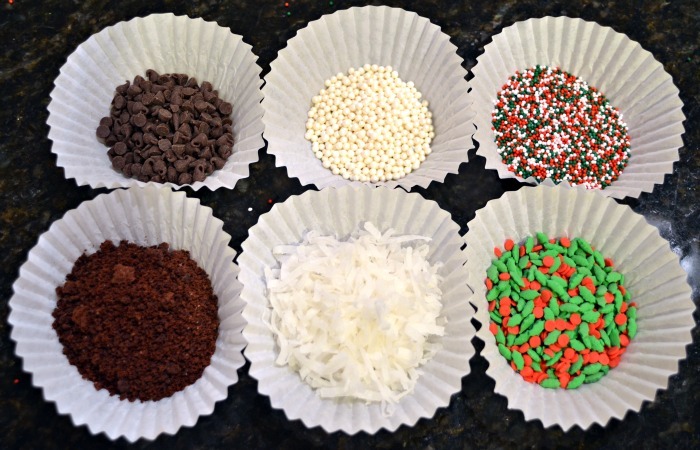 Then while the chocolate was still wet, I sprinkled each cake ball with some sprinkles, let them set on some parchment paper, and called it done! 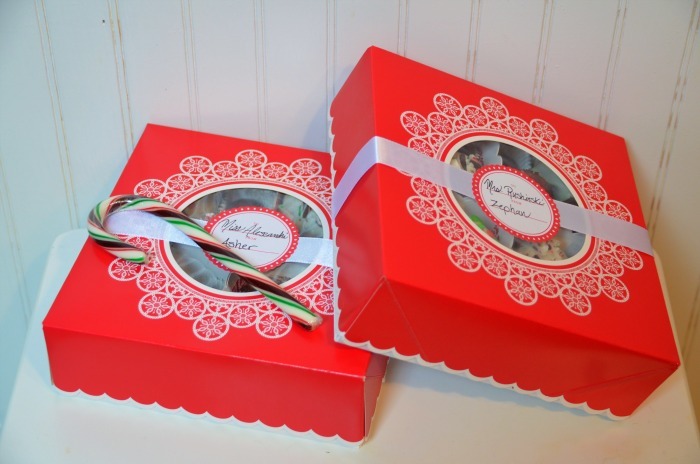 Martha Stewart Crafts sent me these adorable gift boxes awhile back which were perfect for my treats! I couldn’t fit four cake balls in each section, so I filled the holes with truffles. I don’t think anyone will mind :). If you’ve dipped a ton of things in chocolate, then you know it’s time consuming. 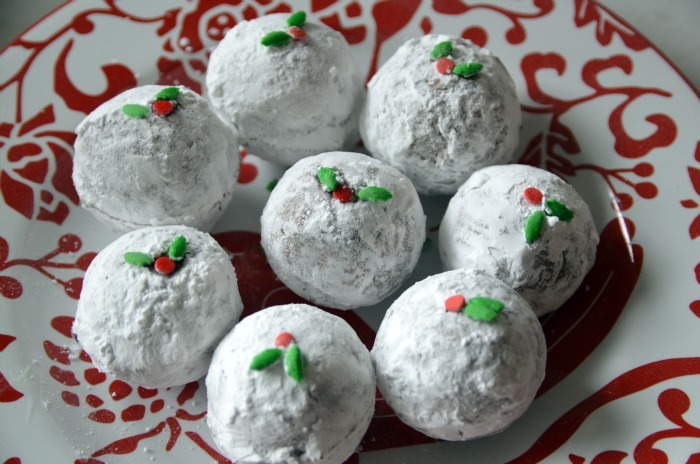 I got lazy during my second batch and decided to just shake my cake balls in powdered sugar. I did embellish them a bit to give them some Christmas cheer but these were much faster to make! Two more teacher gifts done and snacks complete for my mom’s group tomorrow! Phew. My list is almost finished! One has to pay and that’s where the catch is; money for additional credits hence added advertising to the wrong potential clients. I have a cake pop machine that I haven’t used in awhile. 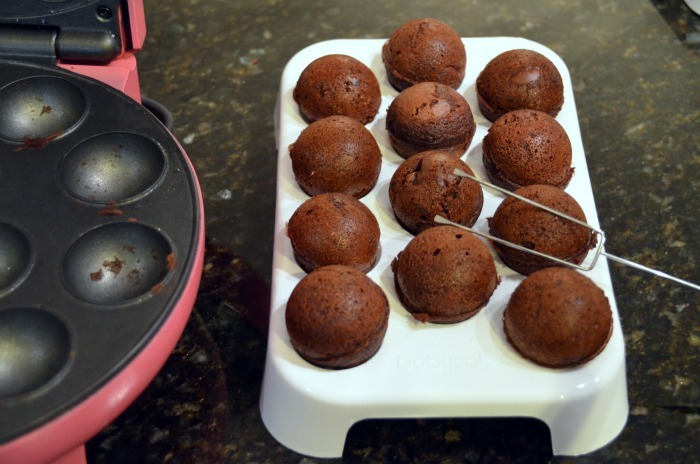 Great idea to make brownie bites. Thanks for the tip. I have one too Beth and I love it. Less fattening than the frosting in the mixture version. I purchased mine at bed bath and beyond even though they don’t carry them I found it online and ordered it in the store and had them waive the shipping and used my 20% off coupon (total $16). Good luck to all you folks looking for a machine. I know Kohls carry them. I must try the brownie mix. Only thought their recipes from the book worked. 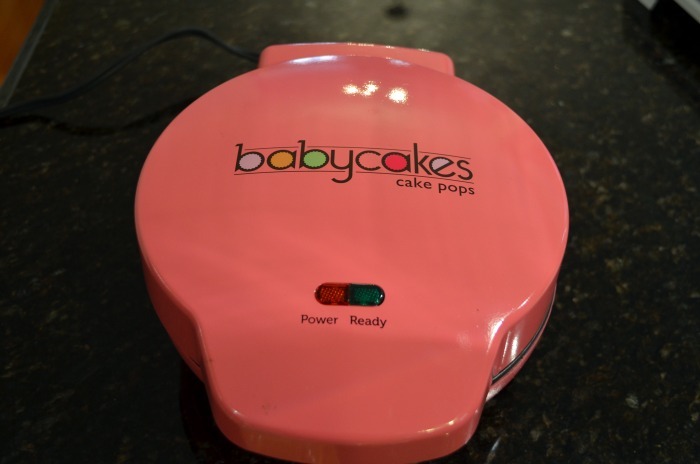 Hey….I only got one cake cooling stands!!! That is so funny! That pan looks a lot like our poffertjes pans. Poffertjes are a kind of tiny pancakes you eat with butter and powdered sugar. I love them! Originally the poffertjes pans were used on a stove (first wood, than gas or even electric) now they have these plug in electric pans too. I am not sure they have a cover though. Anyway, I got a kick out of your chocolate balls and could you please send some over. I made the mistake of forwarding your post to my daughter, and she flipped over this appliance. I guess I will be tracking one down for her for Christmas. 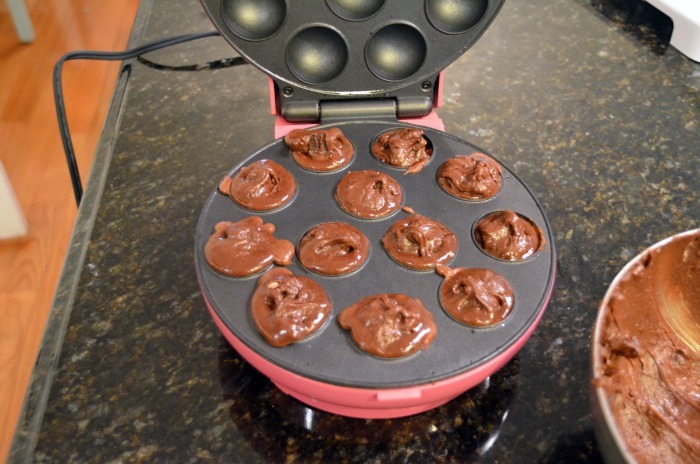 These are so incredible, and I’m glad they work with the brownie mix. We love things that are yummie but at the same time encourage portion control since we don’t seem to have any built-in control over ourselves. Thank you so much for sharing this. 5 minutes to brownie bliss? Wow. I’ve been seeing those around and thought about getting one. May have to. I don’t like the idea of the other method, taking cake and rolling it up with icing. Blech. That’d be WAY too sweet for me. That brownie idea is genius! I wonder if othe mixes could work. Say: cornbead, muffins, or… well, whatever mix comes in a box. lol Did those trays come with it? Yes, the white trays come with it. They’re pretty cool too because each tray cup has a hole in it so that after you dip your pop (with stick) you can stick it in the tray hole to set. 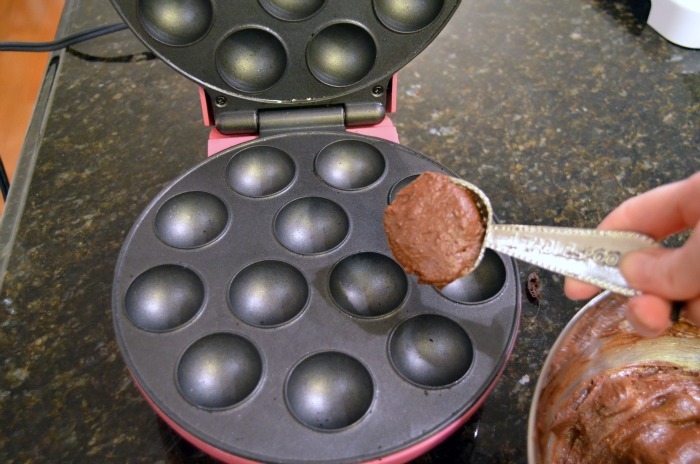 It works as both a cooling tray and a tray to stand the cake pops up in. It came with like 200 candy sticks as well. Geesh, this company should be paying me! LOL! Asked for one of those for Christmas! 😉 This makes me want it even more! haha. These look great! Linking to you today…hope that’s okay! I love this yummy recipe and new ideas. Powder one look really nice. I think the powdered ones look the prettiest! I could pop one or two of those in my mouth and be utterly happy! Lucky teachers! Could be easier to just buy an already-made cake at the grocery store, mix in half store-bought icing crumble together and roll into balls, freeze, then dip. No baking OR using the cake pop machine. I’m all about ‘cutting to the chase’. I know this is the way a lot of people make them and I too like cutting to the chase. But rolling things into little balls drives me batty. To each his own :). I love making cake balls! I’m doing them for neighbor gifts. I’ll have to try brownie mix. How did you dip yours? It’s the hardest part! I’m still learning. Well, I was hoping you’d give some insight on how to easily frost these things. It’s the only thing keeping me from buying one myself! Powdered sugar….I might be able to do that one. 🙂 Cute! I was so covered in chocolate that I couldn’t take pics of that part. Seriously don’t know how the baking bloggers do it! Anyhow, I froze all of the cake balls in the freezer first. This is key. Then I heated the chocolate chips in the microwave and added a small amount of butter flavor shortening to the chocolate. This sounds gross but it doesn’t change the flavor of the chocolate and it makes the chocolate much smoother once set giving that more “professional” look. I just dipped them in the chocolate and rolled them around using that little forky thing and then placed them on parchment paper until set. 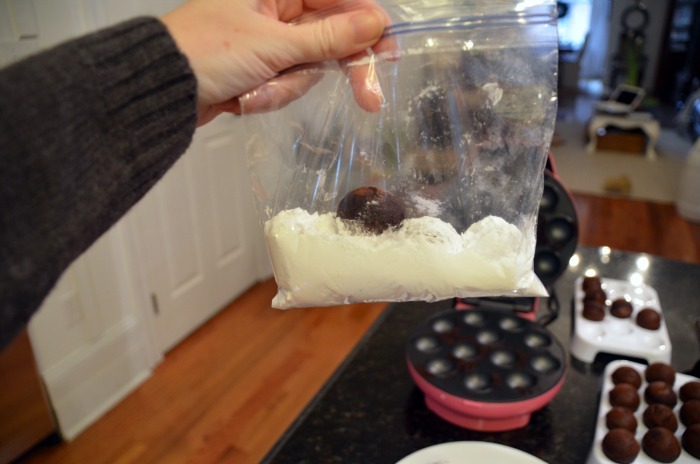 You can also stick them back in the freezer to have them set quickly. Beth, I’ve not seen this sweet little cake pop baker . I love that you just used brownie mix and decorated them so festive. keep us posted if you try any other recipes. I am all about yummy and EASY! I don’t usually like store bought cake mixes but ghiradelli brownie mix is awesome and worked perfectly in this machine :). I’m excited to try a red velvet recipe. OH MY GOODNESS these are SO adorable! And good for you for getting them out to friends already! I haven’t even given that a thought yet. Super awesome looking! I went into Bed Bath n Beyond and they quit carrying them. So I bought a cake ball pan they were selling. Now to find a cake ball cookbook to give it to my son’s GF for Christmas. What a sweet gift Michele! You’re going to make an awesome mother in law :). Yours look just yummy! I’m sure it will be quite a treat for the teachers! I was skeptical that it would work and was praying it would work with brownie mix. Thrilled that it does! It’s so much quicker than waiting for a pan of brownies in the oven so I’m loving the instant gratification. If Brian’s mom doesn’t get you one and they’re still at B.J.’s I’ll buy you one :). Can’t wait to see you on Saturday! What a cool machine! Looks fantastic by the way. Great job! They look so yummy.. and sound so easy! 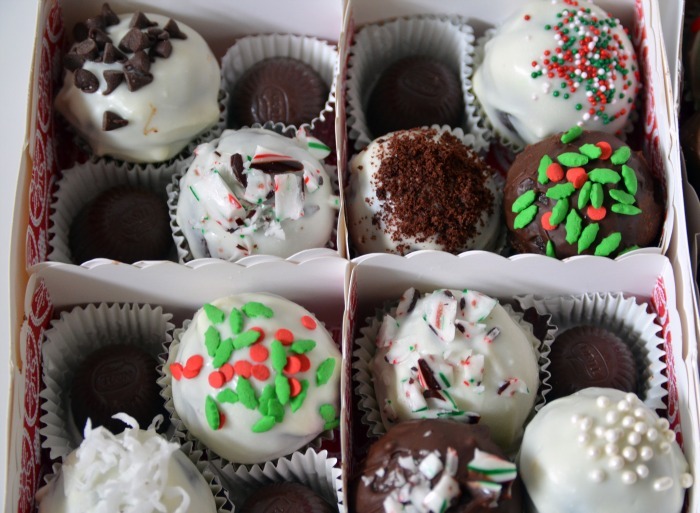 I really want one of those cake ball makers! 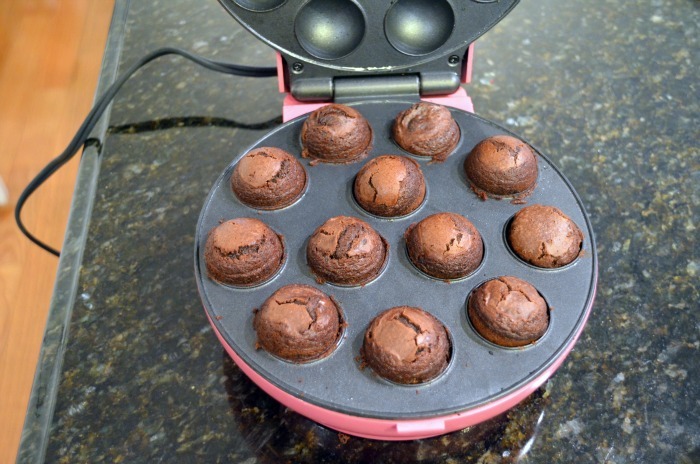 I love brownie bites, and what a neat appliance.